This is a beautiful 2" Bullion Fringe made out of cotton and polyester shown in Gold. It is shiny in texture and is from our Classic Collection. 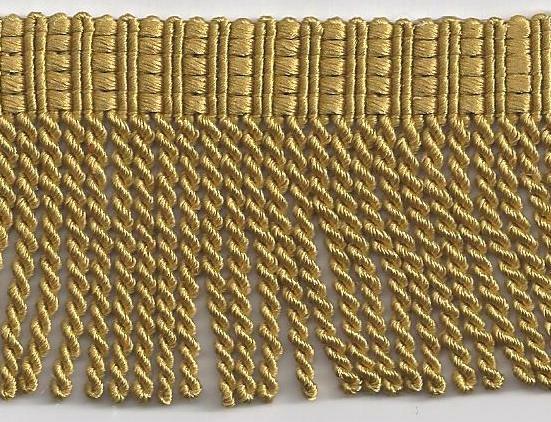 This type of bullion is often used for banners and flags and is perfect for a light weight fabric if you are making draperies. We offer this in 12 colors as well as 11 other coordinating trims that match. This trim is sold by the roll, 12 yards. Please enter 1 for 12 yards (1) roll, 2 for 24 yards (2) rolls etc.